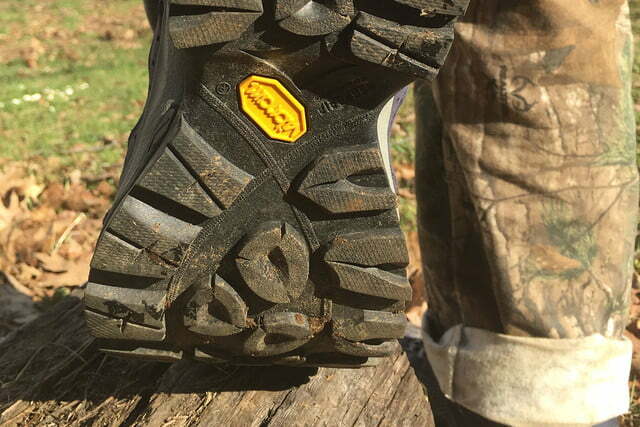 The boots feature a toe cap for protection against rock and roots, along with a heel counter to provide stabilization. Vasque revamped the toe cap for the Breeze III, including ventilation ports and constructing it smaller than what’s found in previous versions. The lower toe cap sheds a few ounces off the boot, as well but does remove some of the protection on the top part of the toe. Some people love larger toe caps like those on Oboz or Keen boots, while others prefer a more minimal design like that of the Vasque boot. The Vasque Breeze is high on comfort with plenty of padding in the ankle and footbed. From the moment you put them on, you’ll immediately like you’re walking on air. This cushioning also boasts an added benefit on the trail in that you won’t feel nearly any rocks or the roots under your feet. 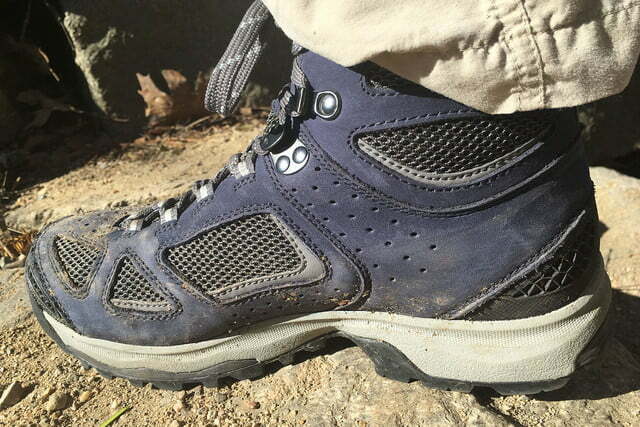 The third iteration is also the lightest Breeze boot to date and during our time with it, this really showed. 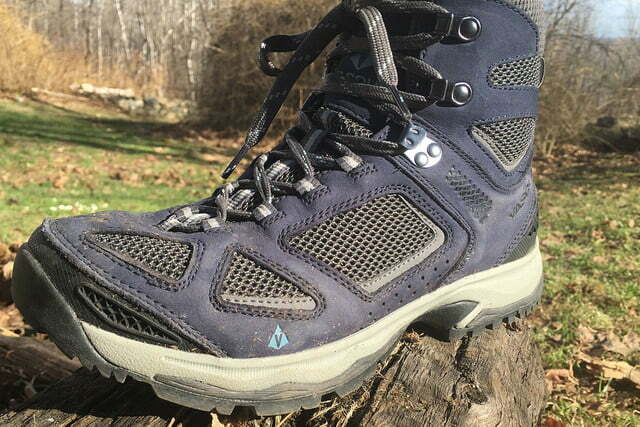 A combination of lightweight design and comfort is an absolute bonus on longer hikes. 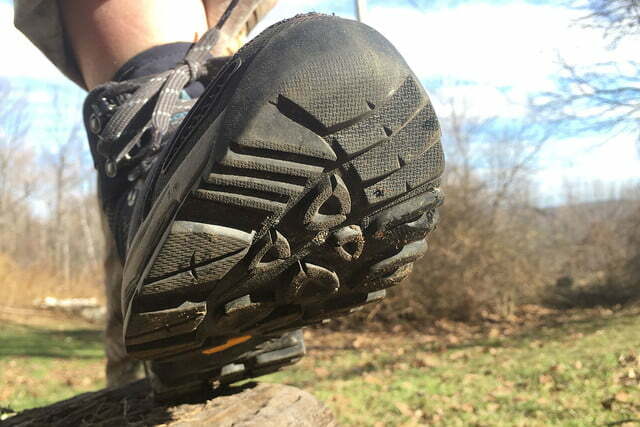 Breathable mesh and ventilation ports keep your feet cool when the trail gets hot. The extra padding in the ankle and footbed does provide unrivaled comfort, though the padding tends to hug your foot, providing a snug fit when compared to other boots. We wouldn’t call the Breeze a narrow boot but it certainly isn’t as roomy as competing models, like the Oboz Bridger Mid, which features plenty of space in the ankle and toe box. As its name implies, the Vasque Breeze also scores highly in terms of breathability. The upper is a mixture of Waterproof Nubuck Leather and air mesh which is ample enough that your foot is able to breathe without accruing much sweat. Its breathability is readily apparent as soon as you start wearing the boots. While worn on a cold day, we were surprised by how much cold air surrounded our foot thanks to the boot’s open design. When the temperatures climbed to an unseasonably warm 70-degrees, the breathability kept our foot comfortable while avoiding any clamminess. Though we called out the Breeze’s lacing system for its support, it also added to the overall comfort of the boot. 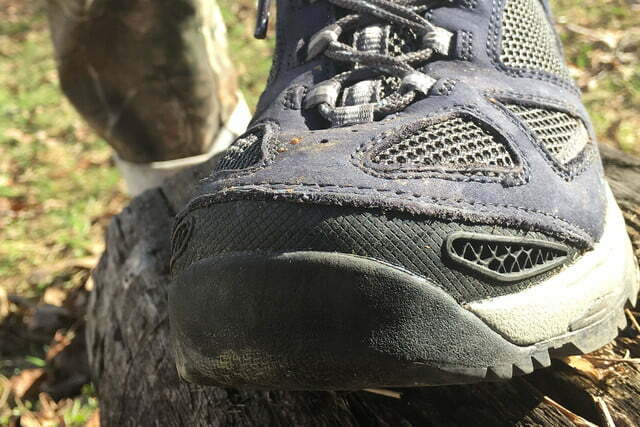 A few times on the trail, we started to develop a hot spot on our heel but a simple readjust of the lacing’s tightness fixed this issue almost instantaneously. Additionally, the boots were comfortable directly out of the box but it did take a few three to four-mile hikes to get that glove-like feel. One other small feature we wish Vasque included is a rear pull-on loop — it may not seem like much but it’s incredibly easier to slide on a pair of boots when there’s a small piece of fabric to grab. Vasque partnered with Vibram to produce the Vasque-exclusive Contact Grip outsole that uses Vibram’s grippy Megagrip compound. 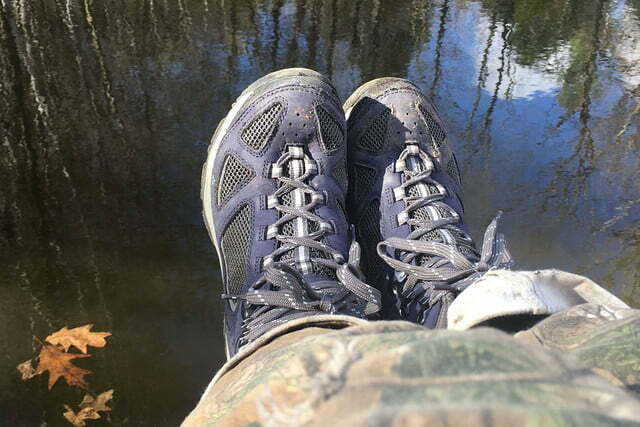 Designed to provide exceptional grip on terrain, the sole worked admirably, even while wet. While testing the boots on both wet and dry rock surfaces, we found no problem scaling up a section of rocks in either condition. The boots also trekked through mud and slushy snow with minimal slipping, a testimony to the well-placed lug pattern and useful heel brake which aided the boot’s overall traction. Exceptional lacing and ample padding in the ankle provide support and comfort in a single package. The only gripe we have with the Breeze III is that it lacks side lugs on its tread. These side lugs are useful when traversing rock faces at an angle, or when you have to position your foot in a crevice to boost yourself up. Having lugs which extend over the edge of the sole allows wearers to take a normal step while using the sides of the boot for grip. 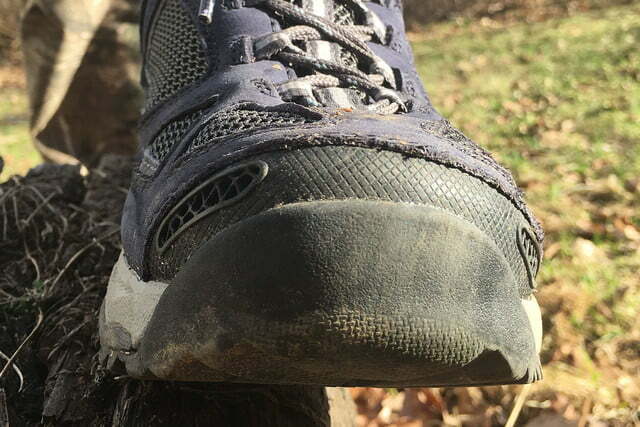 If the boot doesn’t feature these side lugs, you must decide whether it’s better to keep your foot straight and lose traction or to bend your ankle to keep a solid grip. The Breeze III is available two versions — one model with Gore-Tex for wet conditions and a non-waterproof model suitable for warm and dry climates. 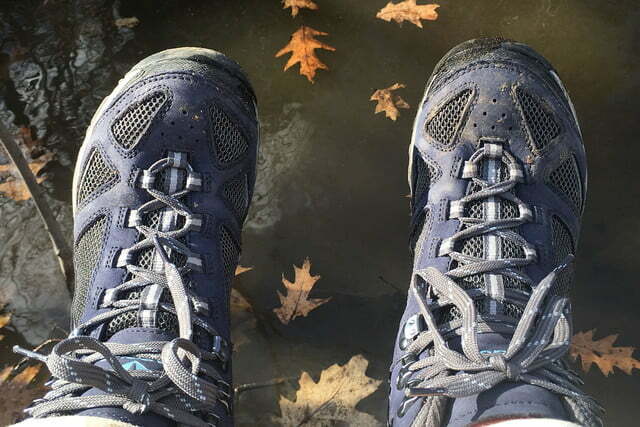 We conducted our tests with the non-waterproof boot and as expected, this model allowed our foot to get wet while crossing streams or when hiking in the mud and slushy snow conditions. When they did get wet, the boots dried quickly, often needing just an overnight to dry completely. 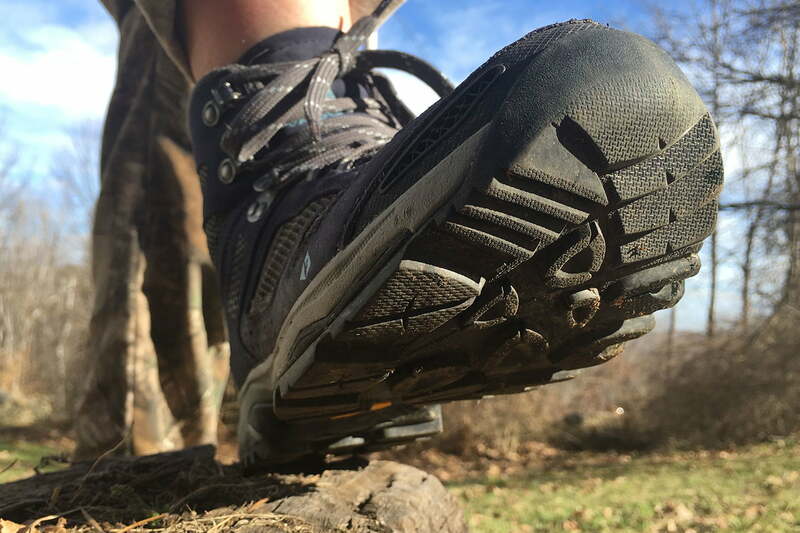 We’ve experienced lacing issues with other Vasque boots but the Breeze III shared none of these flaws. The metal hardware is nicely riveted into the upper and we never felt any flex or pull even when we pulled the boots tight. The nubuck leather feels sturdy and the abrasion-resistant mesh held up well to roots, rocks, and bushwhacking. Similar to previous Breeze models, the sole in the Vasque Breeze III uses Vibram — which is known widely for its supreme durability. 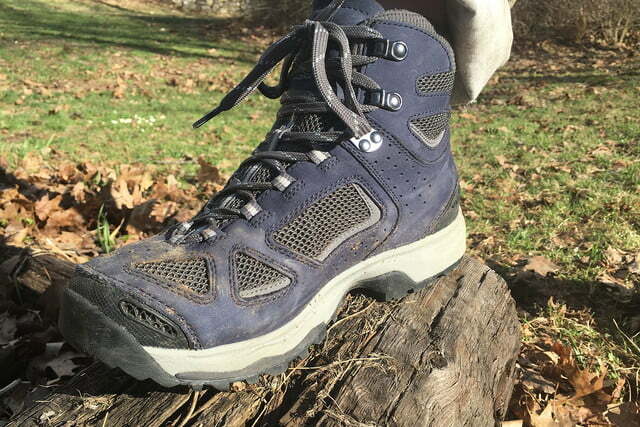 The Vasque Breeze III is an outstanding hiking boot that lived up to its “Trust on the Trail” slogan. The boot provided outstanding support and traction in a variety of conditions and kept our feet dry when hiking through water or slushy snow.